Lubrication and chain oil flow-thru brushes. Threaded body can be used for robotic applications. Use Nylon for adhesives, horse hair for heavy viscosity paints and lubricants, and goat hair when fine, smooth application is required. 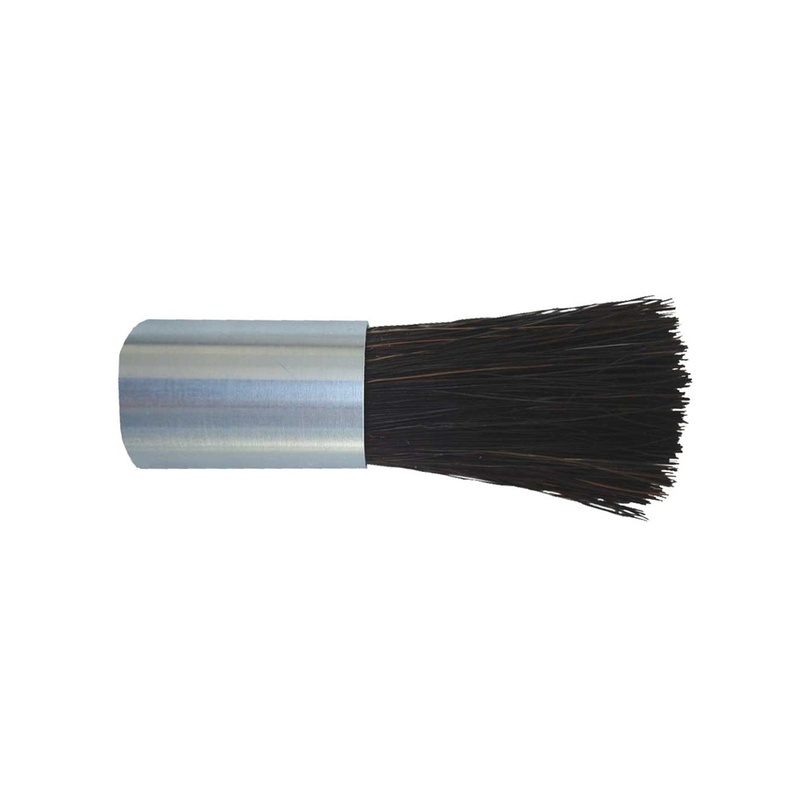 These high volume flow-thru lubrication/applicator brushes, with 1/8" pipe threads, have an aluminum body and can be used in robotic and non-robotic applications. The fills are held in with chemical resistant glue. Use Nylon for adhesives, petroleum distillates, and solvents (maximum use temp 250ºF). Use Polypropylene for water, alcohols, and acids (maximum use temp 200ºF). Use Horse Hair to apply paints, lubricants, and sealers (maximum use temp 370ºF). Use Stainless Steel for harsh environments or to simultaneously clean and apply (maximum use temp 500ºF).